NEWARK, N.J. (AP) — A federal appeals court upheld most of the convictions Tuesday against two former allies of former New Jersey Gov. Chris Christie in the George Washington Bridge lane-closing case, a scandal that helped derail Christie’s presidential hopes in 2016. The 3rd U.S. Circuit Court of Appeals in Philadelphia dismissed a count of civil rights conspiracy for each defendant, but upheld convictions for wire fraud, wire fraud conspiracy and misapplying property of an organization receiving federal funds. Baroni and Kelly had sought to have all counts dismissed. Both are expected to be resentenced. Kelly currently faces an 18-month sentence, while Baroni faces 24 months. They also could request to have the full 3rd Circuit hear the case. Their attorneys didn’t immediately comment on Tuesday’s ruling. In their court filings, the lawyers for Kelly and Baroni had argued their convictions on the civil rights charges were based on a right to intrastate travel that has not been recognized by the Supreme Court. Kelly was the author of the infamous “time for some traffic problems in Fort Lee” email a month before three access lanes to the bridge were reduced to one, without warning to local authorities. 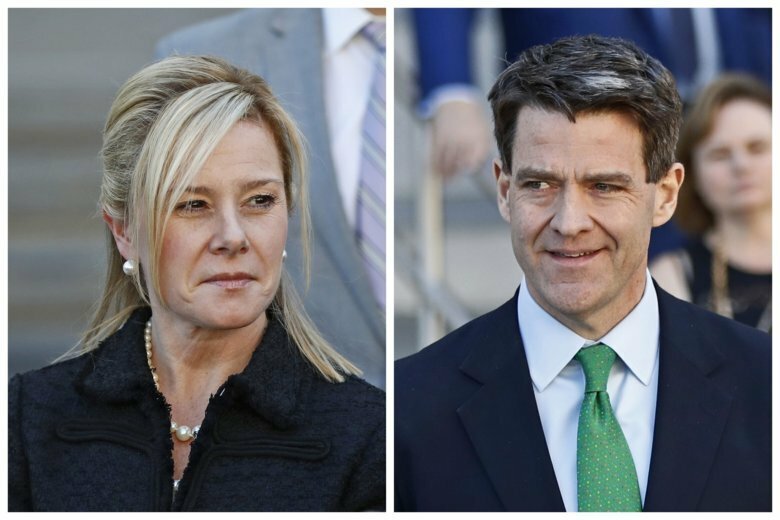 The massive gridlock over four days and part of a fifth in September 2013 mushroomed into a scandal dubbed “Bridgegate” that dragged down Christie’s presidential aspirations and, Christie later conceded, played a role in then-Republican nominee Donald Trump’s decision not to name him as his running mate. The state’s legal response cost taxpayers more than $15 million in attorney and related fees. Baroni was deputy executive director at the Port Authority of New York and New Jersey, which operates the bridge, and Kelly was Christie’s deputy chief of staff. A third defendant, David Wildstein, a former high school classmate of Christie’s who reported to Baroni at the Port Authority, pleaded guilty and testified against Baroni and Kelly. Trial testimony by the defendants and several others contradicted Christie’s account of when he knew about the traffic jams. Christie was never charged and denied prior knowledge or involvement in the alleged scheme. Kelly and Baroni also argued in their appeals that the wire fraud charges they were convicted of were improperly based on actions that didn’t deprive the government of money or property, and that the government misapplied the law governing fraudulent use of facilities receiving more than $5,000 in federal funds. The defendants also asked unsuccessfully for a mistrial because U.S. District Judge Susan Wigenton instructed the jury that it didn’t have to find the government had proved the existence of a politically motivated plot behind the lane realignment in order to find the defendants guilty.